I am super excited that my little blog was nominated for Liebster Award by one of my favorite bloggers, Lynette over at My Momism Moments. It’s like being a Freshman and finding out the coolest Senior likes you. Please, please check her out and follow her blog if you don’t already. Since I am very new to blogging I wasn’t even really that familiar with this fun blogger-to-blogger award but I am thrilled and honored that someone who reads my brain dumps thought to nominate me. 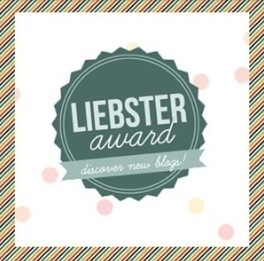 The Liebster award is an award for blogs with less than 200 followers. My favorite part about how this award is set up is that once you get it you get to pay it forward and nominate your favorite 11 blogs. I had fun picking these. I’m not 100% confident that these blogs have under 200 followers but they truly are the ones that have entertained me, made me laugh, tear up, spit out my coffee, yell at my iPad and made me feel supported throughout my entry into this amazing online community. I would love to invent something that makes people’s lives easier. I always come up with wacky ideas and run them by my husband or my mom. My mom saw a psychic in the 80’s that told her I would invent something special so I’ve always had that in the back of my mind, as irrational as it is. Any adult slumber parties we have had. We solve all of the world’s problems in one night. It’s better than 6 months of therapy. What was an embarrassing/awkward moment that you laugh about now? In college when I tripped over the door stop and slammed the door shut on the arm of a cute guy that I had a crush on. It was Biology and I immediately dropped the class. First I’d probably poop my pants, second I would go on a huge elaborate vacation with my entire family, and then I would go get a tummy tuck , lipo and Botox. My favorite thing to watch every year is the Kona Ironman Triathlon. I pretty much cry for 3 hours. It is amazing and inspiring. Cat or Dog person? Definitely dog. I love to paint with acrylics. Every couple of years I pick it up again and I really enjoy it. Christmas. I love how family comes together and the excitement on my children’s faces. And my husband gets even more excited than the kids so it is really fun to watch. Supersleeperwoman – I could fall asleep anywhere at any time and wake up whenever I wanted. Waiting in line at the bank? 3 minutes of sleep-BAM! Here are my nominees for the award. If you have already received one of these well then great, your awesomeness has officially multiplied. If you have over 200 followers (I admit that I know a few of you do) well then oops…you still inspire me and deserve to get recognized. Or, you have earned the right to completely ignore me. Either way, I appreciate and honor you all. 1. Do you “feel” your age or do you feel younger or older than your age? 2. What animal best represents your personality? 3. Who is your favorite living person? 5. Chocolate? Vanilla? Or strawberry? 7. If you were a product what would your tagline be? 8. What’s your favorite guilty pleasure TV show? 9. What distant land do you wish you could travel to? 10. How long does it take you to get ready to leave the house? 11. If you could live an entire day as another person, would you? And if yes, who?